Kidney cancer patients who are given a lower dose of drugs find it better and just as effective. The Department of Medical Oncology at Singapore General Hospital shares why. ​benefit from a lower dose of drugs. The drug in question is sunitinib, a palliative drug for patients with Stage 4 kidney cancer which has spread (metastasised) beyond the kidney. 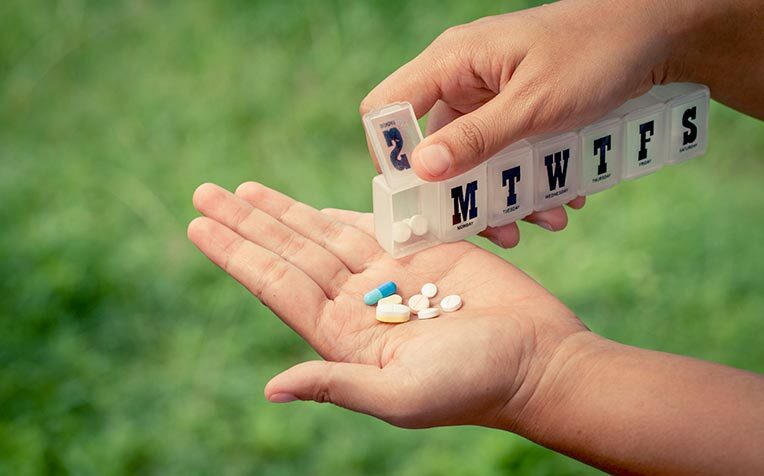 The National Cancer Centre Singapore​ ​(NCCS) reduced the starting dose of sunitinib in a seven-year study which confirmed that this significantly eases side effects and is just as effective. It is also cheaper, costing about $4,000 monthly, compared to $5,400 for the higher dose. In a report published in the medical journal Clinical Genitourinary Cancer, the genitourinary oncology team who carried out the study said that their results represent the first data supporting a new and realistic sunitinib dosing regimen in an Asian population. “The goal of this drug is to prol​ong life and ideally at the same time shrink the tumour,” say doctors from Medical Oncology and Cancer Genetics, Nationa​​l Cancer Centre Singapore​, a member of the SingHe​alth​ group, who spearheaded the study. Sunitinib was first introduced in NCCS in 2005. Based on textbook recommendations, patients got an oral dose of 50mg daily for four weeks, followed by a two week break, in a six-week treatment cycle. But doctors soon began noticing very high toxicity in patients. The main side effects of the drug are fatigue, high blood pressure, changes in blood counts which lead to immune suppression, and rashes on the hands and feet. We rapidly realised that the side effects were making their lives worse. And what we wanted to do was add life to years, not make life worse in the goal of adding years to life​. So in 2007, the team decided to cut the dose to 37.5mg a day on the same treatment cycle. Doctors said ​it was not a randomised trial. We standardised the dose as a practice guideline within NCCS to be prospectively followed​ up on, over the next few years, while we systematically observed the outcomes. The team systematically collected data and compared outcomes with data from three local centres – Johns Hopkins Singapore International Medical Centre, the National University Hospital and the OncoCare Cancer Centre at Gleneagles Medical Centre – that were giving patients the 50mg dose. Dr Tan said that together, these centres and NCCS see nine in 10 patients with metastatic kidney cancer in Singapore. This enabled a national-level assessment, which significantly strengthened the team’s case. In 2009, the other three cancer centres also switched to using the lower dosage. Patients take the drug for about six to nine months on average. Some may stop after just a month while others might be on it for as long as four years. Means testing ensures that all patients who need the drug receive it. Kidney cancer affects more men than women, and is the ninth most common cancer in men here. Most patients are between 40 and 70 years old when first diagnosed. The National Cancer Centre Singapore (NCCS) sees about 200 kidney cancer patients annually, roughly half the national total. Among its annual cases, about 50 are at Stage 4; they survive for nearly two years on average, although this may range from six months to six years, said doctors from ​Medical Oncology and Cancer Genetics, NCCS. While all cancers happen fairly randomly, doctors cite obesity and a smoking habit as two of the variables linked to kidney cancer. Symptoms include blood in the urine, lower back pain that persists for a week, and in relatively rare cases, a mass that can be felt if the tumour has grown. Selected patients with Stage 4 kidney cancer have two choices of treatment: palliative treatment with oral targeted t​herapy or opt for a treatment called highdose interleukin 2 (IL 2), which carries the possibility of l​ong-term remission. Dr Ravindran Kane​​svaran​, Consultant, Division of Medical Oncology​, National Cancer Centre Singapore​ (NCCS), said that unlike patients with most other metastatic solid tumours, patients with Stage 4 kidney cancer can potentially get lo​ng-term remission with high-dose IL 2. He puts the chance of this (based on numerous clinical studies), where the patient is still alive 10 years later, at 10 per cent. This may seem like a small figure, but it provides hope for younger metastatic kidney cancer patients. However, the treatment is aggressive and can be risky (there is a 1 per cent chance of dying from it). To be eligible for the treatment, patients must be relatively young – under 60 years old – and have the clear cell sub-type of kidney cancer, which 75 per cent of kidney cancer patients have, he said. During therapy, patients stay in a high dependency ward and are monitored closely round the clock. They get the drug intravenously and undergo dramatic physiological changes – their weight might increase due to fluid retention and their blood pressure may drop sharply. At least two cycles of therapy, each lasting five days, are carried out one or two weeks apart. Since 2012, NCCS has been the only place in South-east Asia, and one of the few centres in Asia, to offer this therapy. Dr Kane​svara​​n, Consultant ​and Dr Toh Chee Keong, Senior Consultant, Division of Medical Oncology, NCCS, were trained​ overseas on how to deliver IL 2 to patients. ​Endometriosis: Do Not Ignore Severe Menstruation Pains!